British rocker Gary Glitter has decided to file an appeal of his conviction for child molestation, his lawyer said Thursday. "He told me he was innocent so he has to appeal to clear this matter," attorney Le Thanh Kinh said. Kinh said he met with Glitter at Phuoc Co prison on Wednesday and that his client signed the appeal petition, which will be forwarded to the appeals court in Ho Chi Minh City. Glitter has maintained his innocence throughout the case, and threw the court into disarray when, after being sentenced to three years in prison, he began shouting out his denials as police escorted him from the courthouse. 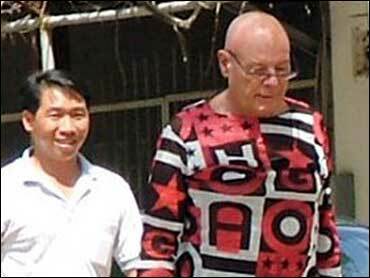 The court said Glitter would be deported from Vietnam to Britain after serving his sentence. He was also ordered to pay compensation of 5 million dong (US$320; euro266) to each girl's family and court fees. Kinh said his client appeared to be in good spirits during their hour-long meeting.